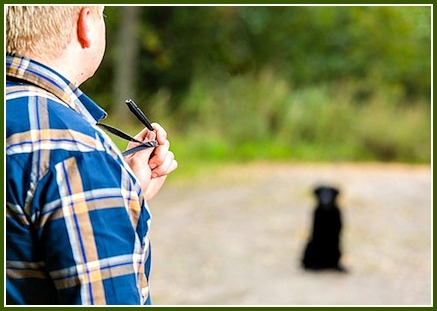 To be completely honest, I hadn't heard much about dog training whistles until just recently. Obviously, I knew what a training whistles was, but it just wasn't something that I had ever used in my years of dog training. So what's it all about? And it turns out that hunters and herders having been using whistles to train and work their dogs for years. The main reason why it's the tool of choice for them is because their dogs are usually working off leash and at a distance. In windy or rainy weather, or with hilly or treed terrain, it could be difficult and even impossible for the dog to hear verbal commands. Hand signals are also hard to the dog to see sometimes, depending on how far away they are or the terrain. A dog's leading sense is his hearing, and then his sight. 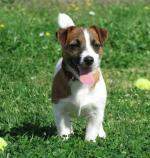 This makes it especially useful for your dog to be whistle trained for off leash control. And it's a lot more dignified than screaming across the park for your dog to come! There are quite a few different choices when it comes to dog whistles. Some are plastic, some are metal, and still others are made out of bison horn. Whistles come in many different tones and pitches, too. So is there a "best" whistle to use? Technically, no. They will all do the same thing. But in the case that you lose your whistle and have to buy a new one, you now have the issue of whether or not your new whistle is the exact same tone and pitch as the previous one. Why is that a problem? Your dog will be trained to listen to one particular pitch and tone - that of your whistle. Unless you can buy the exact same whistle again, you will have to retrain your dog to obey the new whistle, as well. This can take anywhere from 10 to 14 days. So choosing a more common whistle is probably safest, as opposed to that beautiful one-of-a-kind bison horn whistle. That being said, I've read a lot about the Acme whistle, as it has a very consistent sound. A very common whistle, it should be no problem replacing your whistle if you do happen to lose it. 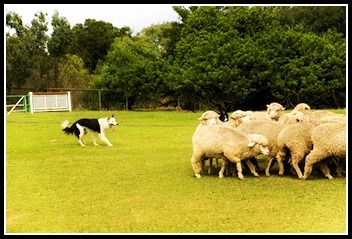 Dog training whistles are often used for herding. Several of the dog training whistle commands are very similar, regardless of what type of training you are doing. There isn't really a right or wrong command to use for commands, especially if you're not planning on doing competitive hunting or herding trials. If your plan is to whistle train your dog for off leash obedience at home, you can create your own commands. Single short blast - "peeep"
Training your dog to obey whistled commands isn't that complicated. Using the same method you would to teach a dog to follow hand signals, you can easily have a dog who listens to whistle commands with a bit of practice. Is a whistle going to improve your dog's recall or off leash obedience? Um, not necessarily. It isn't a magic tool, and we're not the Pied Piper. It all depends on how well you reinforce the commands, and how much you practice! It can be helpful, however, to begin training a dog who hasn't done very in the past with certain commands using a dog training whistle. Take the recall, or come command, for example. If a dog is used to being scolded or simply not rewarded for obeying the command "come", he will have negative associations with that word, making it very difficult to turn the word "come" into a positive thing. Buuut, if you begin training the recall right from the beginning again with a new command, your dog won't have any previous associations with this new command - giving you a fresh start. A whistle can also be good for keeping the command consistent sounding for your dog. Dogs listen to sounds and tones more than they do actual words, which makes it important that your command is always the same tone. A whistle will sound exactly the same every time, making it really easy for your dog to pick up on what you're trying to teach him. One caveat: Guard your dog training whistle fiercely! Don't lend it to family or friends as it won't take much for them to royally screw up your training and confuse your poor dog. It can be a good idea to start conditioning your dog that the sound of the whistle makes good things happen. You can do this by rewarding your dog whenever you blow the whistle for a few days. He'll quickly realize that this whistle sound equals awesome treats, a game with his favorite toy, or dinner time! Using a dog training whistle can help with off leash training. One way to teach your dog a command, regardless of the tool or signal, is by using operant conditioning. 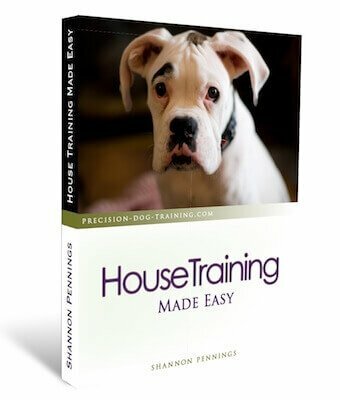 What this method of training does is it reinforces a behavior that your dog offers on his own, instead of praising him for doing what you told him to do. While this isn't the main dog training method I use, it certainly does have its place in training. One example of how you can use operant conditioning to whistle train a dog is with the sit command. To start training, begin by having your dog on leash. As you're adding something brand new to the mix, it's always best to start at square one. Let's use the sit command as our example. Your dog should already respond consistently to a verbal "sit" command before introducing the whistle. If you need, first train your dog to sit. And while the intent of using a whistle is for off leash, it helps to keep the leash on at the beginning while he's learning what the whistle means. Remember - our dog's ears are really sensitive to sound, so don't BLAST the whistle when you're standing right beside him! Choose the whistle command that you're going to use to tell your dog to sit - always use the same command from now on! Your dogs needs to be standing for this exercise. As soon as your dog sits, praise him! Once he is consistently sitting for the whistle command, you can start to increase the distance that you work from your dog. While it's great for obedience training, a whistle isn't exactly a tool that is used for behavior modification. Many people think blowing the whistle will stop barking - and it might, for a couple seconds - it will more likely cause Fido to bark even more! A training whistle also isn't a deterrent to aggression, and it won't stop a dog fight or attack.